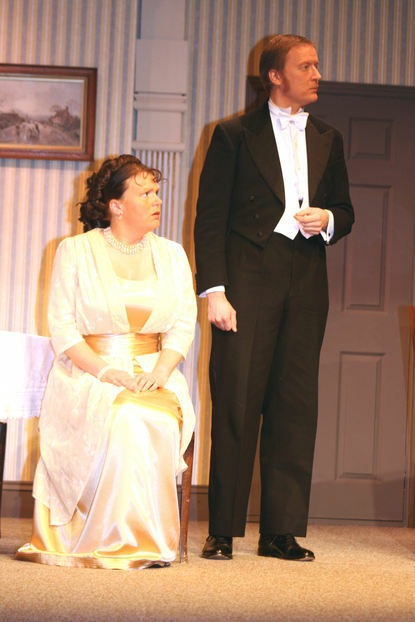 by J.B.Priestley. 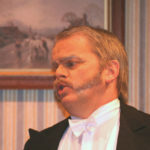 Performed 4th-9th February 2008. 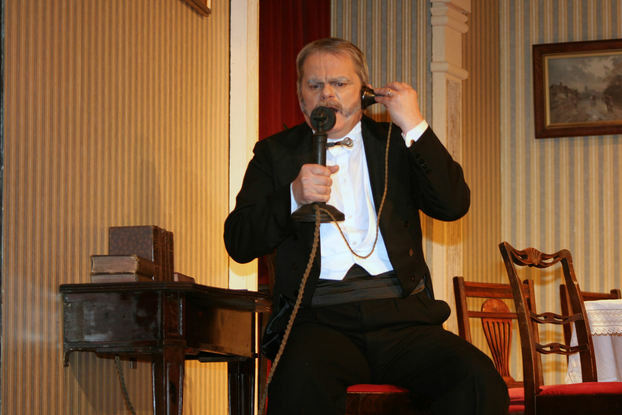 An Inspector Calls, by J.B. Priestley, was written in 1945. 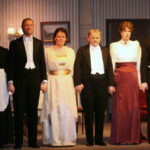 It was first performed in Moscow in 1946, as no London theatres were available. 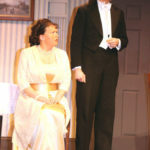 It was then produced in London at the New Theatre on 1st October 1946. 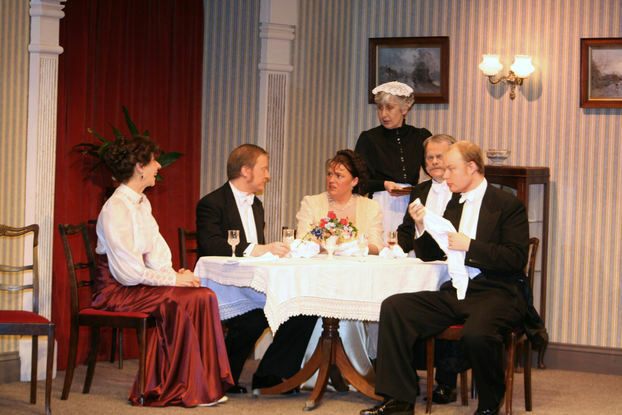 The play shows how people are inter-connected in the great drama of human existence. 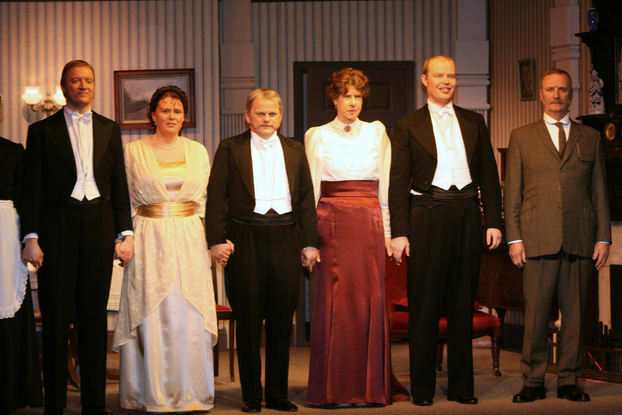 It refelcts Priestley’s socialist views, outling the problems he saw with capitalism. 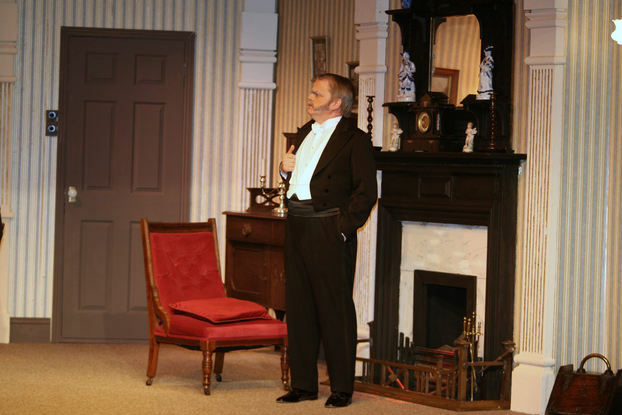 The play advocates duty and individual conscience, and as such is not so much colletivist and individualist. 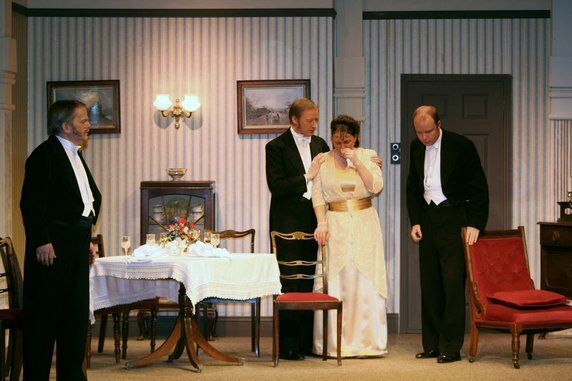 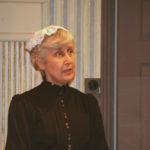 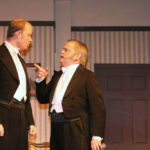 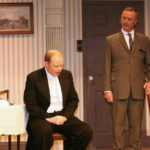 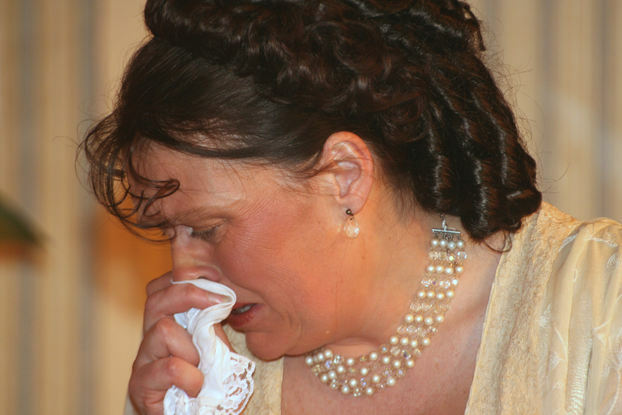 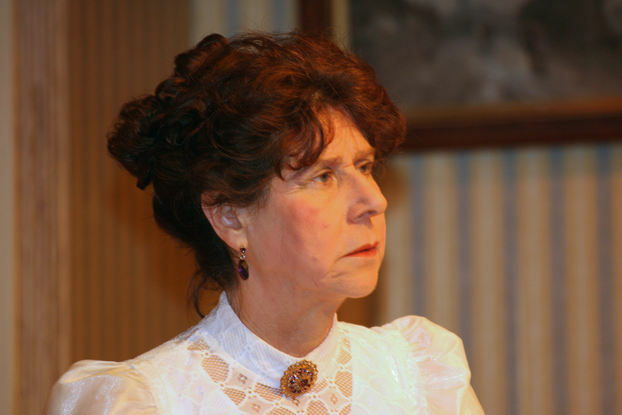 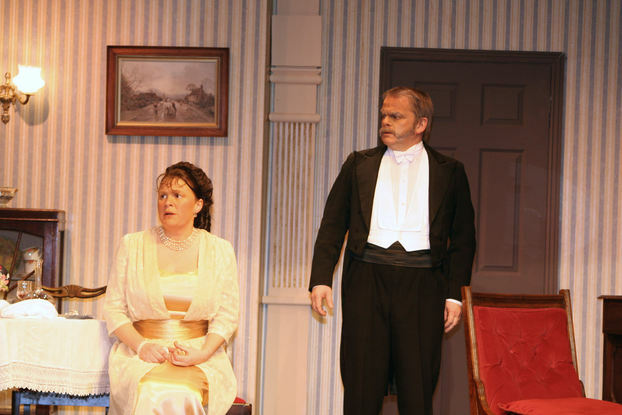 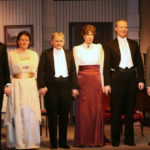 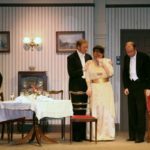 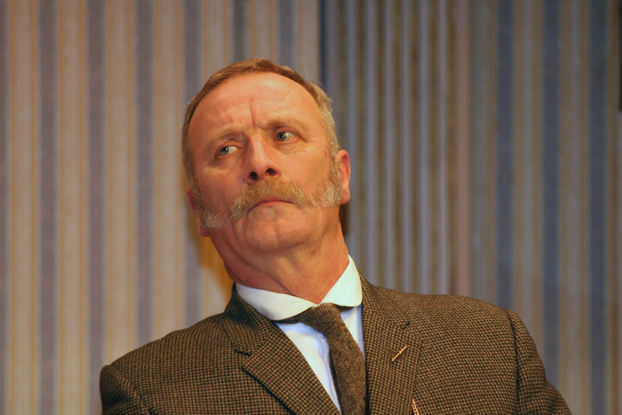 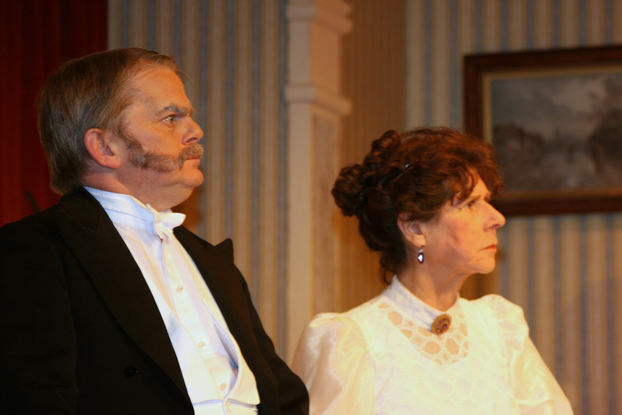 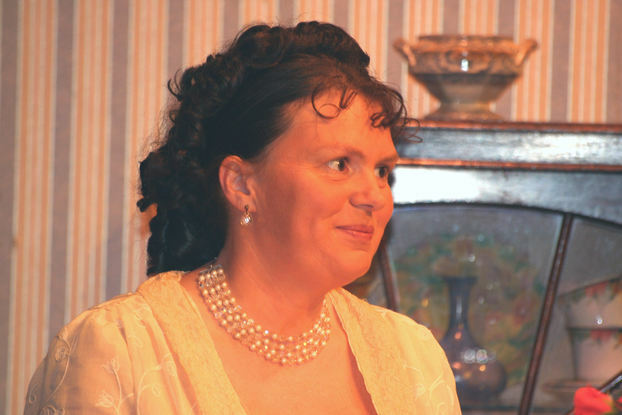 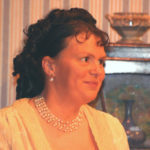 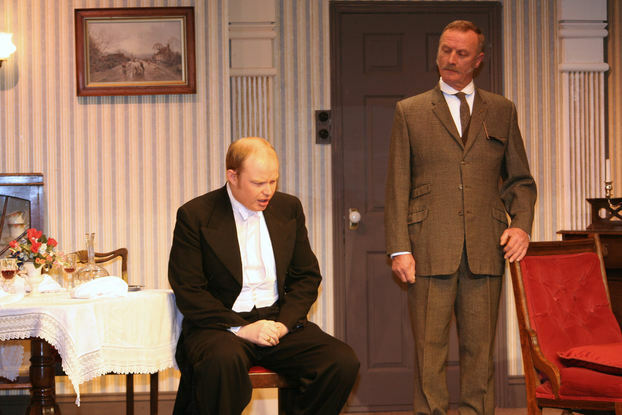 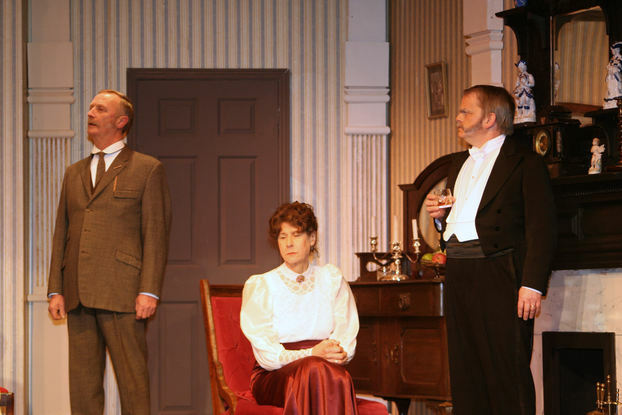 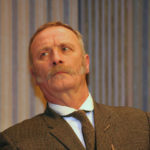 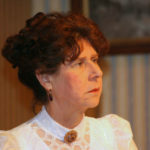 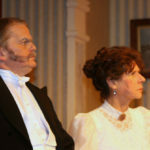 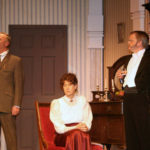 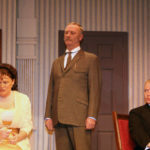 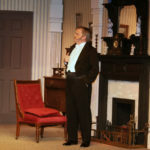 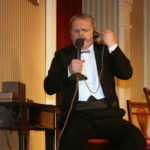 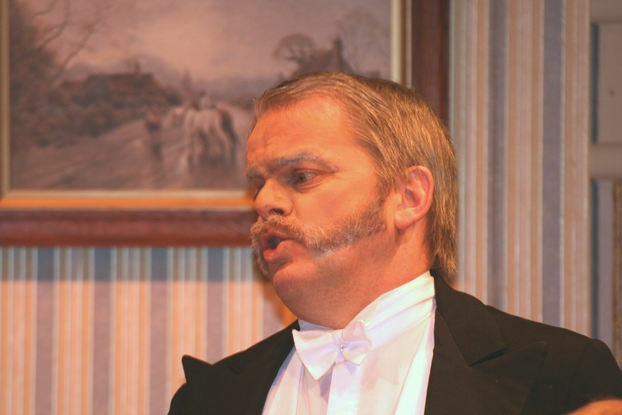 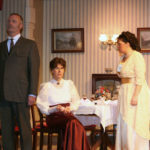 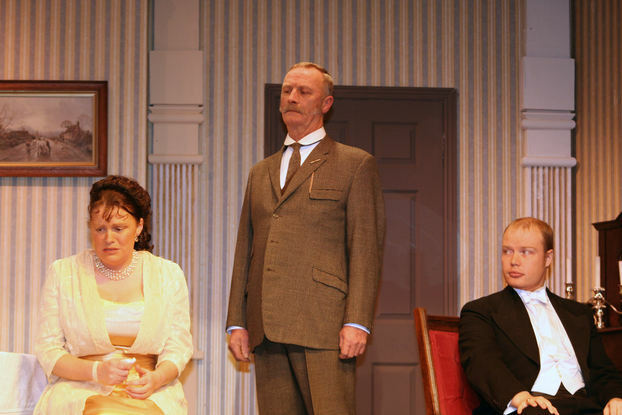 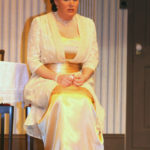 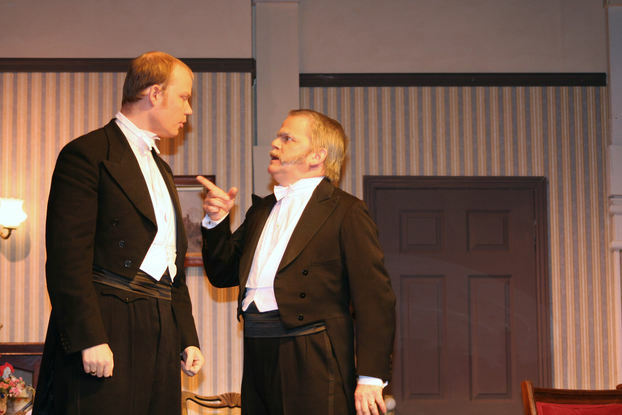 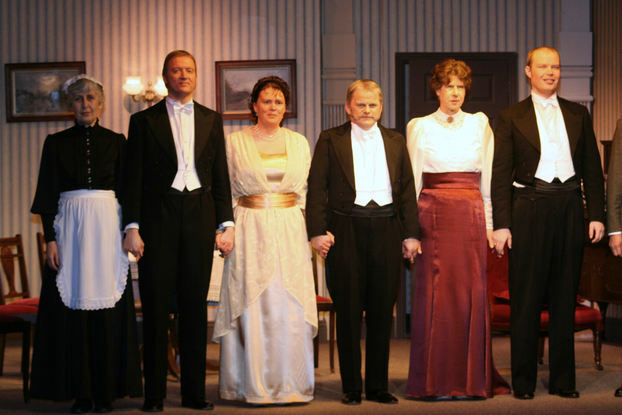 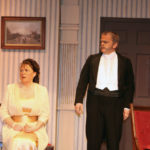 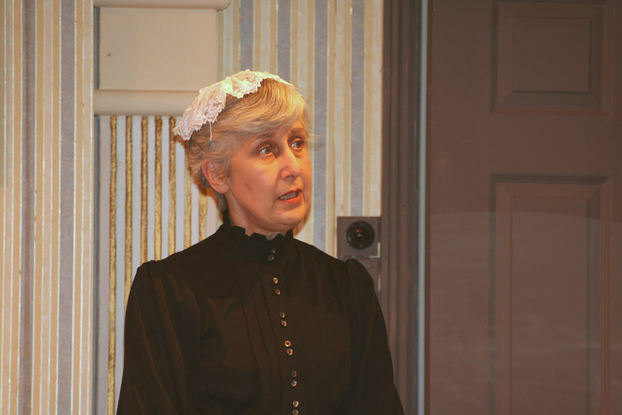 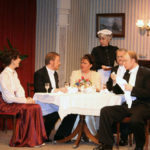 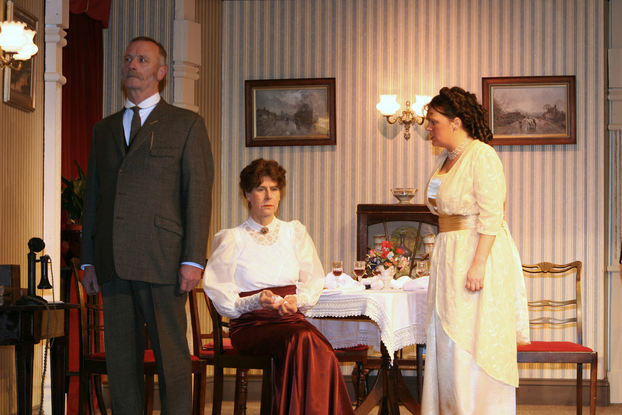 The role of the Inspector – his nature, character and contribution to the drama – can be interpreted in many ways, which undoubtedly contributes to the play’s continuing popularity. 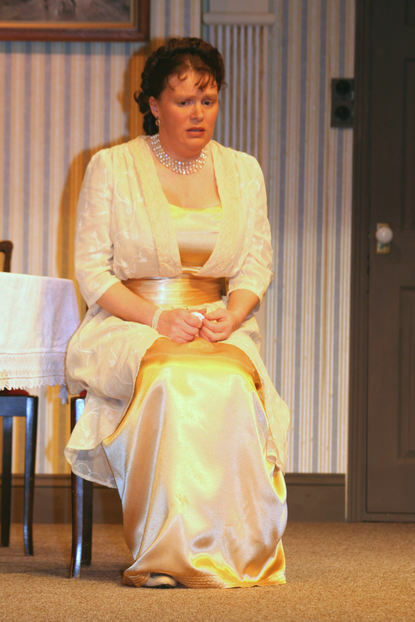 It was a pleasure to welcome Jackie as a newcomer to our stage.